I purchased this book on a whim--yes, I occasionally do that. But it isn't the covers that grab me--it is usually after reading the blurb. Am I ever glad I took a chance. I read this one in one sitting--I simply could not stop until the end. Nicelle Clarke is a reporter who can't let go of anything. The problem was there were a couple of different crimes going on that she was reporting on--she had a gut feeling they were somehow connected--but the puzzle pieces just would not come together in her head. She kept digging----and what she dug up---well. At one point she trusted no one and I can't say I blame her! Does Nicelle come out alive? Who were the bad guys and who was trying to keep her safe? This is definitely a fast moving book with ins and outs that will keep you guessing until the end! Crime reporter Nichelle Clarke is covering the deaths of two young police officers near Richmond, Virginia. On the surface, it looks like a tragic accident. But as she digs deeper into the investigation, Nichelle realizes that all is not as it seems. Someone is trying to cover their tracks. Nichelle is struggling to put the pieces together, until a seductive Mafia boss shows up with the headline tip of a lifetime. But each step closer to the truth becomes exponentially more dangerous. And her investigation soon transforms into a murderous game of cat and mouse. 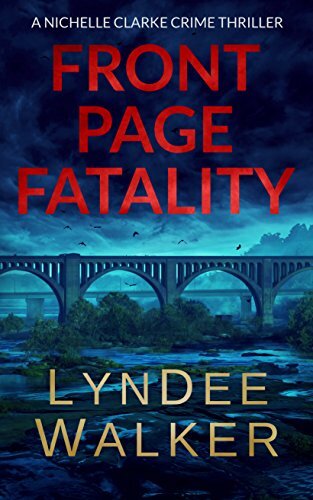 LynDee Walker is the author of six national bestselling novels of suspense, beginning with the Agatha Award-nominated FRONT PAGE FATALITY. Reviews have praised her work as "well-crafted, compelling, and fast-paced," and "an edge-of-your-seat ride" with "a spider web of twists and turns that will keep you reading until the end." 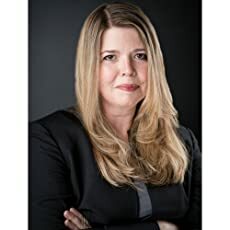 Before she started writing fiction, LynDee was an award-winning journalist who covered everything from ribbon cuttings to high level police corruption. 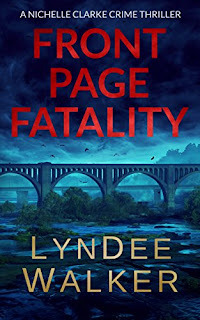 Her work has appeared in newspapers and magazines across the U.S.
Aside from books, LynDee loves her family, her readers, travel, and coffee. She lives in Richmond, Virginia, where she is working on her next novel when she's not juggling laundry and children's sports schedules.